Minor update time. I have not been able to put much time it to this lately. My mother went in to the hospital very sick lady and went down hill from their. A week age we lost her. For the last 3 plus weeks have been a mess of activity concerning her. Spending evenings and weekends at the hospital. We will miss her dearly. Just before the that started I started working on the fuel system. 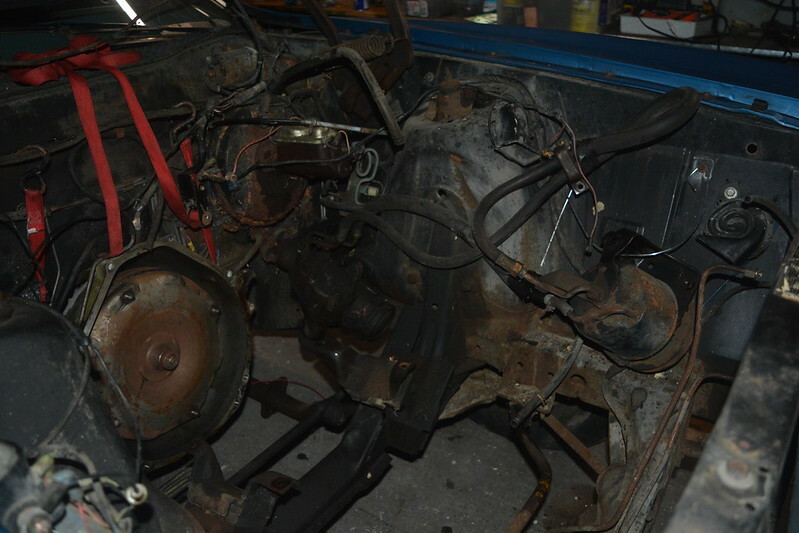 I cleaned up the top of the engine and removed the carb. I removed the top of it and it looks fine. No corrosion or other noticeable problems. 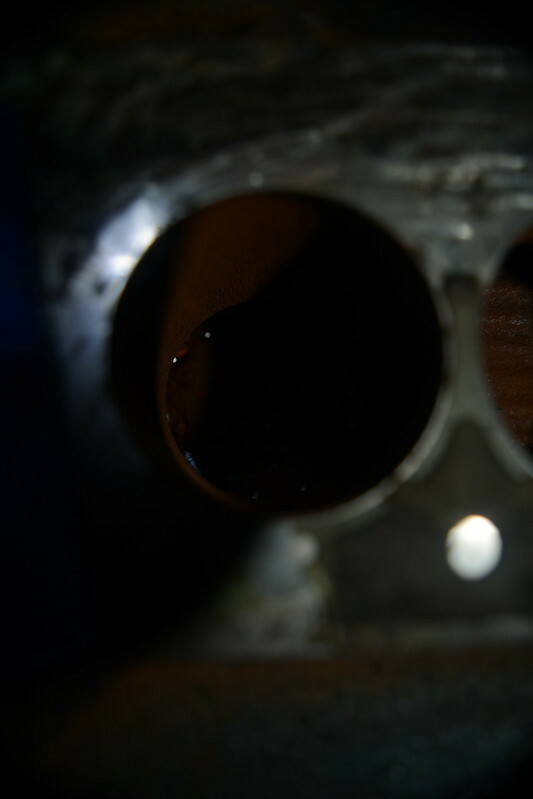 So I went back to clean the last of the gasket of the intake, I did not like what I saw. This is the lower plenum. Rust and some Black glass like deposits. 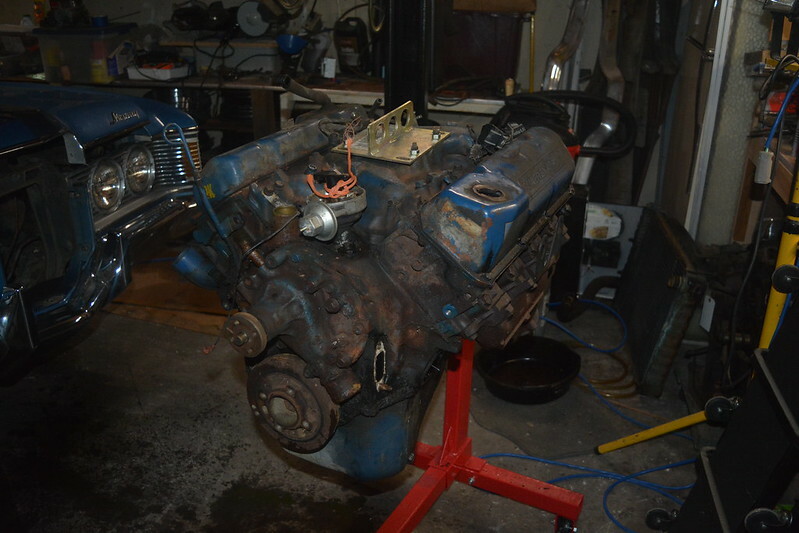 Any way, I have decided I will be removing the intake and getting it tanked. I will also get the heads rebuilt. I will be pulling the engine out of it soon. This is not a project I had in mind here. But if this Cougar is going to purr again it has to be done. That rust is unfortunate. Sorry for your loss. Nothing can replace Mom! My condolences about your mom, Neal. So sorry to hear about you mom. So sorry to hear of the loss of your mother, thoughts and prayers for the family. It's time for another update. To all of you here at the Classic Cougar Community I want to that you for the honor of having this Cougar nominated 2 times for "Ride of the Month". I hope to have it to the point of being a Ride to enjoy bu May 2016 or so. As you can see, Rust. Not a good thing for an engine. During removal I found some more original parts and marking as well as what I have all ready documented. 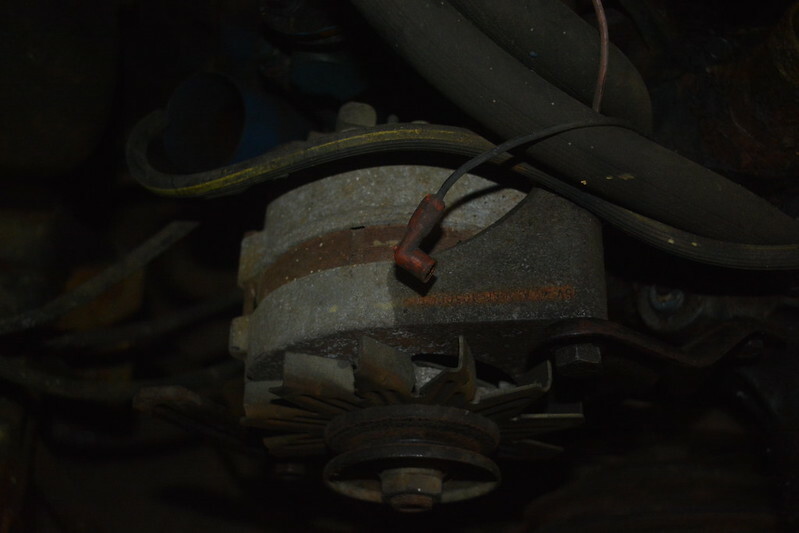 This is the Alternator. Note the Red highlighted area ofer the stamped part number. 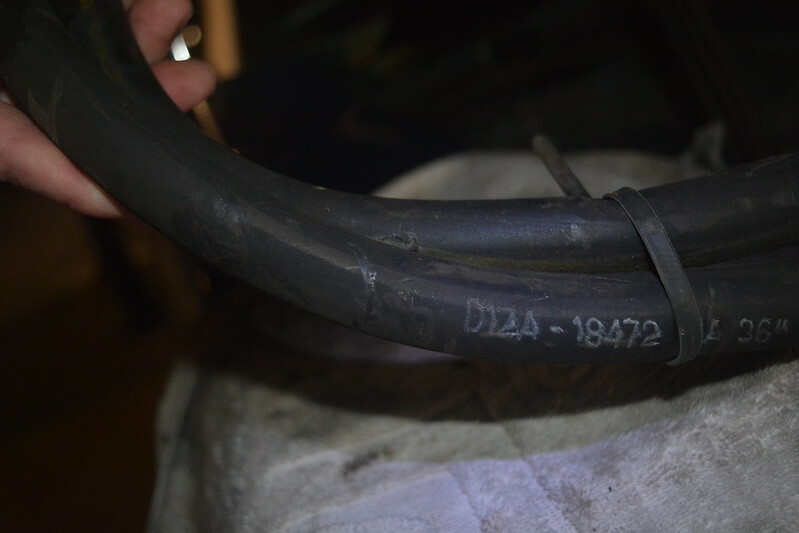 And when was th elast time you saw a 44 year old car with factory heater hoses? So after a day of work here it is sitting on the stand waiting for it's next move. It is getting to be Winter here, so I will have a lot to do in my evenings for the next few months. 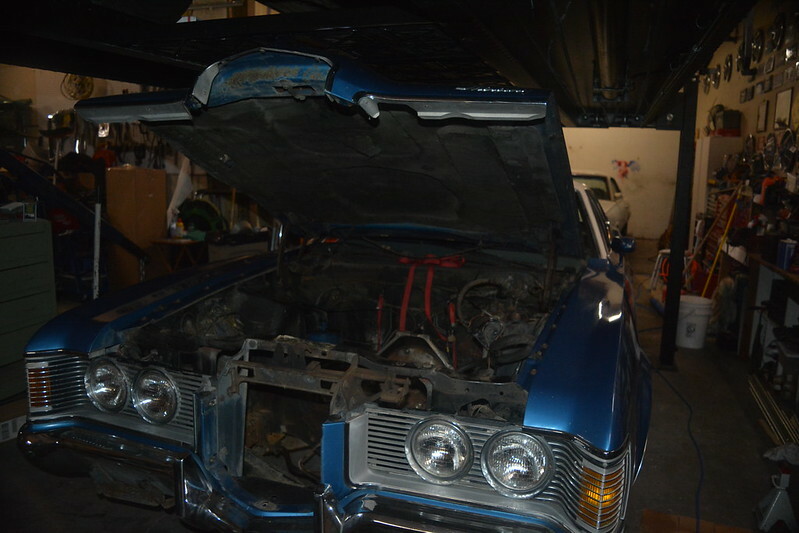 I will keep you posted as I continue to revive this Cougar. I broke the top end off the engine today. 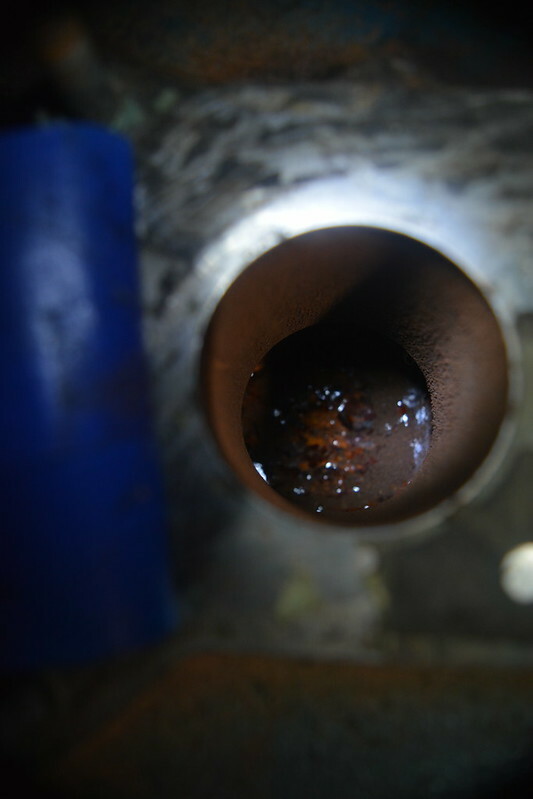 I founds several exhaust valves that are stuck open. Even better hat I didn't try to run it first. I have the casting numbers off of the components. It is interesting looking at them. The car was built on July 16th 1971. So the intake was cast just about a month before the car was built. The block about 6 months before. 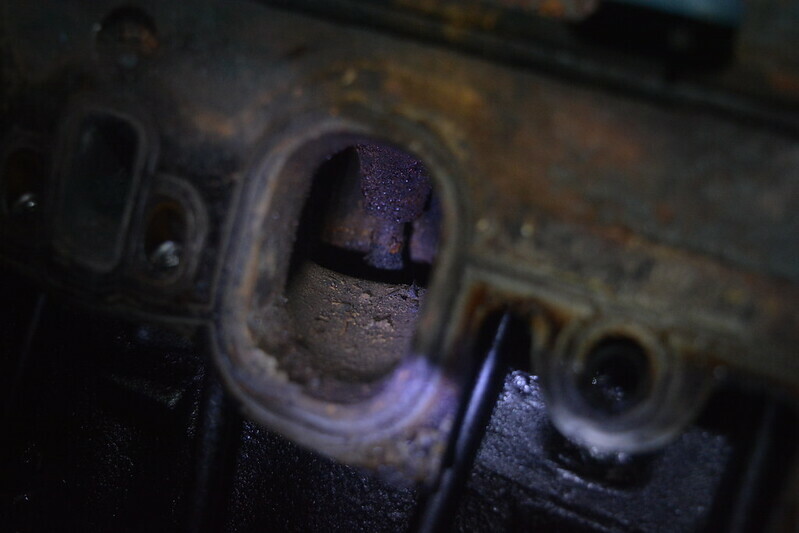 Of course the block needs more work done to it to make it a finished part then an intake does. You've maybe already seen this, but it caught my eye. I found this ad on ebay today featuring the upbeat interior. I thought it was very cool. Mine was blue and loved the pattern!